When I first made the post refuting the "Hitler was a Christian" nonsense, there was a great deal of response from atheopaths who wanted to cling to their false claim despite the evidence. They would quote mine from Hitler and ignore information that put it into proper context. (Not surprising, because they believe what Hitler said, but also foolishly quote mine the Bible to make it look bad as well. Glaring inconsistencies at best.) Not only was Hitler a maniacal politician who would say what it took to get people on his side, but he was nuts. By the way, when pressed, these atheists cannot show where he gave anything resembling accurate Scriptural support for his actions, nor can they show where he was following Biblical commands. It is an entirely spurious argument. Andy Pierson has an interesting article that gives further refutation of the Christian Hitler falsehood. He includes some quotes from Hitler and the Nazis that were downright blasphemous, and also points out that the Christian Hitler claim is logically fallacious. There is often a misguided belief among rabid anti-Christians (and sometimes even believers) that Hitler was a Christian in adulthood because he was a catholic in his youth. This supposed “fact” that Hitler was Christian is then made into a fallacy of composition to say that Nazi’s and the Nazi movement in general was Christian also. This is then taken to a third level of absurdity to try and prove that Christians are probably madmen and evil due to an extremely tenuous connection to Hitler. This of course is a convenient but false bridge of fallacies (fallacy of association, red herring among others). If we examine the facts, exact quotes and history...we will arrive at a dramatically different conclusion than that of our misguided friends. This is a warped understanding of history and frankly, frighteningly wrong. Sadly, the belief that Hitler was Christian during his tenure as Früher or that Christianity was somehow complicit in the Holocaust is further exacerbated by what is perceived as a deafening silence from the Vatican during the 1920’s to 1940’s. The Catholic Church is sometimes rabidly pursued as anti-Semitic for this silence also (probably unfairly at times). It is often mentioned that the Vatican was right in the heart of Mussolini’s fascist regime in Italy (one of Hitler's allies) so it is implied that they are somehow guilty due to geographical location. Furthermore it is assumed that because the Roman Church did not fight back against the Axis powers they were somehow guilty by omission or by failure to act. 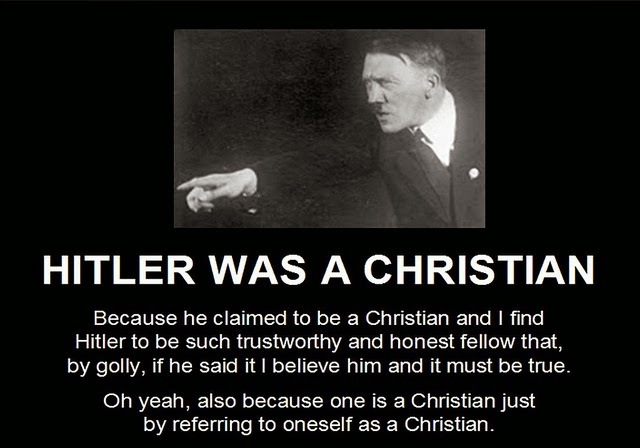 You can read the rest at "The 'Hitler was a Christian' Mythos". 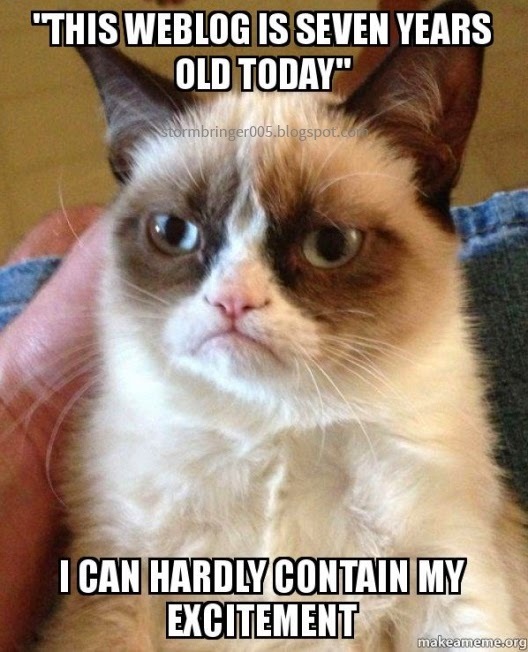 By the way, this Weblog is seven years old today.